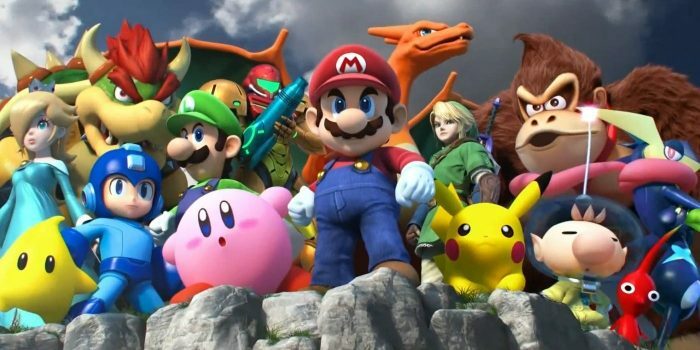 World of Light is the massive singleplayer mode for Super Smash Bros. Ultimate, and it isn’t quite as easy to 100% as you might think. Getting every single character and completing every battle might seem easy — until you reach the hidden content at the end of the mode. To truly complete the story mode, you’ll need to defeat not one, but two final bosses — and get three endings total. Sounds complicated? It isn’t so bad, but to help you navigate the end of the game, we’re here to provide a few details. Specifically, I’ll explain exactly what happens when you beat the last boss, why you’ll need to take multiple ending routes, and how to unlock the trickiest character at the very, very end. You can’t just scroll through the map and pinpoint glowing spots — you’ll need to solve a mini-puzzle to truly hit 100%. There are three endings in World of Light, the adventure mode found under the Spirits tab on the main menu. Completing the World of Light gives you a whole bunch of rewards, and leads to even more post-game battles. The endings are very straightforward. Here’s how it works. Endings Explained: There are three ending routes. Left / Right / Center. To get 100%, you must complete all three routes. One route leads to Galeem. One route leads to Dharkon. The third (center) route leads to both, and you’ll have to defeat both of them at once. After completing a route, you’ll return to the World of Light map. Now you can complete the other endings or defeat more opponents on the map. After completing World of Light, you’ll also unlock World of Dark — a second map with new locations, new gimmicks, and new characters. Once the World of Dark is unlocked, you’ll be able to access more characters, more spirits, and more tough battles. The trickiest part of getting 100% completion in World of Light is finding several secret battles. How To Get Richter: Richter is located in Dracula’s Castle. If you’ve played the castle, reset — you need to clear all the purple / black spirits from the map. Richter’s battle will appear near Dracula’s Throne Room.